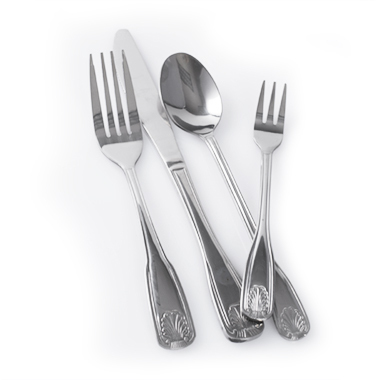 Give your table setting a splash of elegance with World Tableware's Coral Flatware Pattern. The flared handle features piping along the border which collides with a seashell design at the bottom, making it ideal for any seafood or ocean-themed establishment. Additionally, the 18/0 stainless steel construction ensures that the items within this pattern will give you many years of worry-free use.